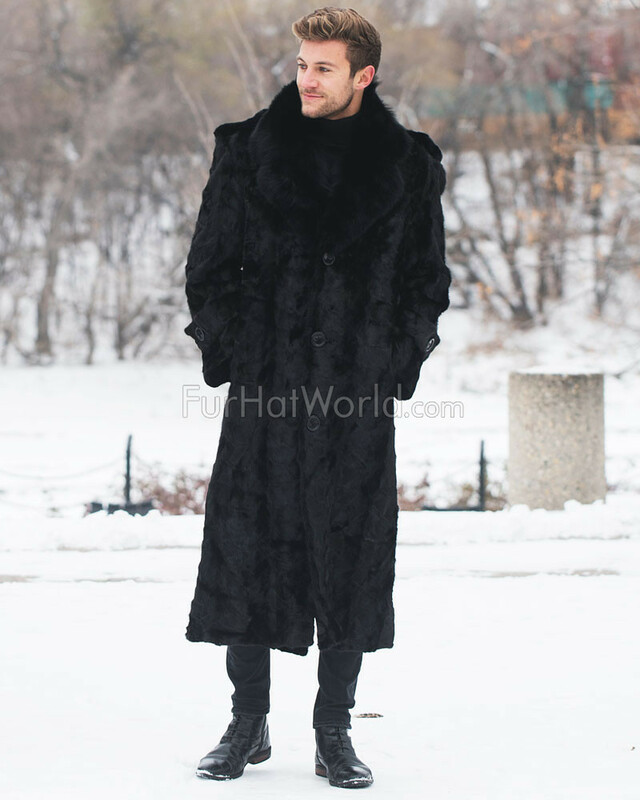 You're the ultimate leading man in our Dean Black Mink Full Length Overcoat With Fox Fur Collar. 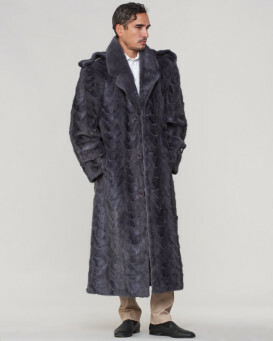 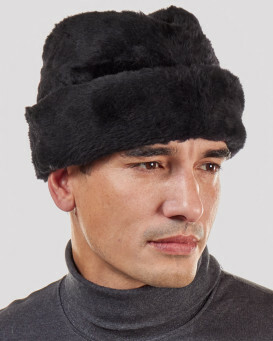 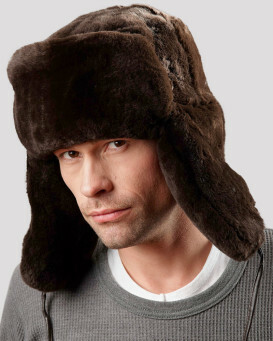 This handsome design for him is crafted with authentic sectioned Denmark mink fur with matching shoulder epaulets. 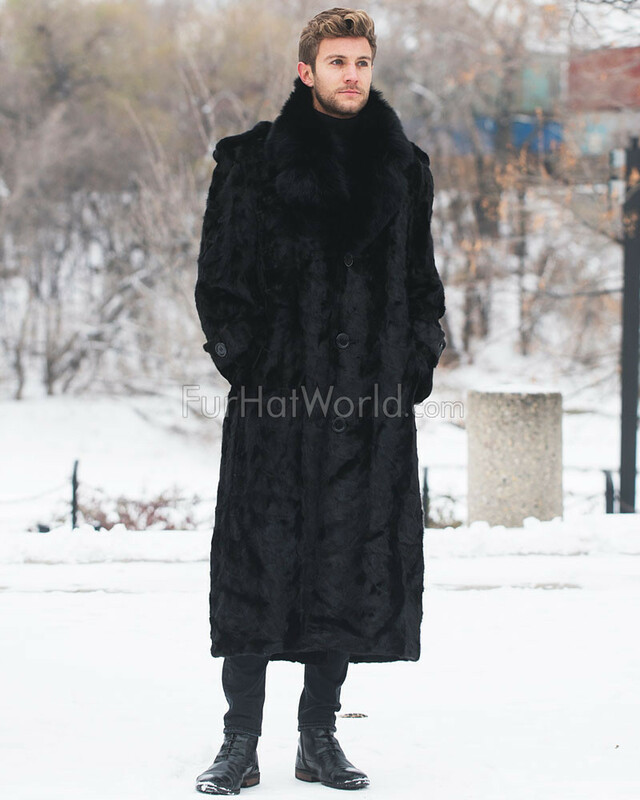 The silky and soft style is adorned with a large genuine black fox fur collar about your shoulders. 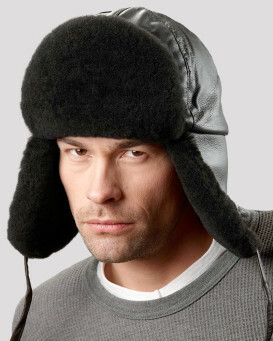 The embellishments feature a 100% polyester lining with two zipper pockets. 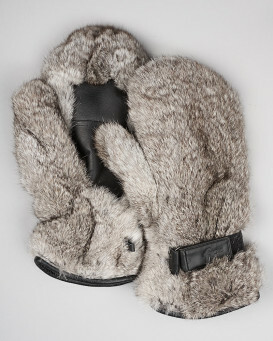 The exterior is creative to showcase wrist straps with decorative buttons. 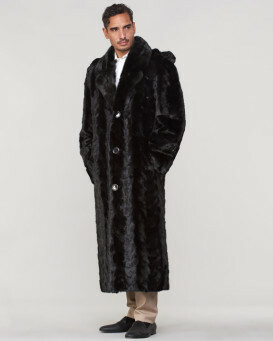 A center back slit is great for an autumn style. 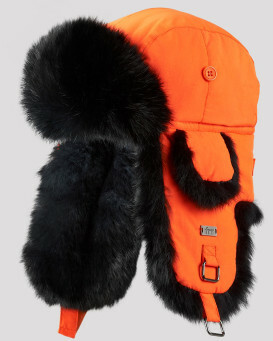 The matching back belt comes alive with two functional buttons and side entry pockets add functionality.